Fadeleaf is a popular herb that sells for more than 20 gold a stack and often as high as 40 gold a stack. 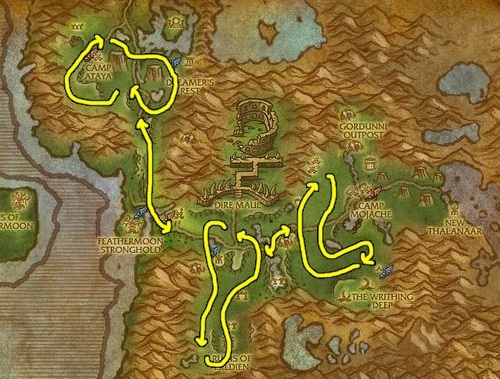 It’s easy to farm if you know where to go, and you only need to be about level 36-37 to farm it. Your herbalism level needs to be at least 150. Fadeleaf is used by alchemists and scribes as they level to 525. Update: You can make a lot of gold with Fadeleaf, but if you want to step it up and make thousands of gold you should read my personal favorite guide.